The Heritage Glass Museum is free to visit and open on Saturdays from 11 am – 2 pm, Wednesdays from noon – 3 pm, and on the fourth Sunday of each month from 1 pm – 4 pm. You can find it at: 25 High Street in Glassboro. Call (856) 881-7468 to confirm their hours. The main reason we picked this spot is because of the Town Square,’’ says Josh. “Glassboro hosts 20-plus events here — a craft beer festival, an Italian festival, an arts festival — 20 festivals out here, pulling more people in. And we are excited about the 21-and-up college audience all around us … within a half-mile walk, there are 3,500 beds, and across the street they are building another five-story apartment building.’’ Eventually, Axe & Arrow will offer its guests an 800-square-foot patio that is directly adjacent to Town Square. Known for being the home of Rowan University, Glassboro, New Jersey is filled with exciting history, an abundance of delicious restaurants, and loads of fun! 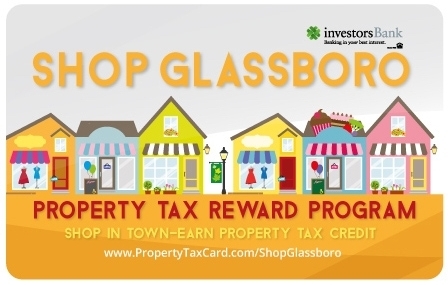 Glassboro is a one stop, do it all community. Whether you’re a local, visiting Rowan’s campus, or just stopping by for the day, come enjoy the fresh and authentic atmosphere of Glassboro, New Jersey! She has sold many b bounders since, but has been able to give some away to local families in need who write to her. One of those families included Gianna, a bright young girl with leukemia. She always bounces around on her rainbow-studded trampoline to keep her bones strong, especially when undergoing chemotherapy. Giorgi cut the ribbon on a brand new workout location, "Studio Just b,"in Glassboro, NJ. The bigger facility offers not only exercise but also a chiropractor, massage therapist, holistic nutritionist and more. There are only a handful of diners that make it into Mod Betty’s faves, because I’m a bit of a purist, but Angelo’s is right up there on the list! A tiny stainless steel diner with a handful of counter stools and booths, you immediately feel like part of the community as you order one of their fresh made daily specials. Bonesaw Brewing is NJ’s Best New Brewery! The Glassboro brewery's "go-big-or-go-home mentality" yields exciting results. The corridor has older, densely-populated communities, like Glassboro, Woodbury and Pitman that developed along the rail line. Colleges, medical centers and other businesses which drive the economy in the area are largely based in Philadelphia and Camden County. 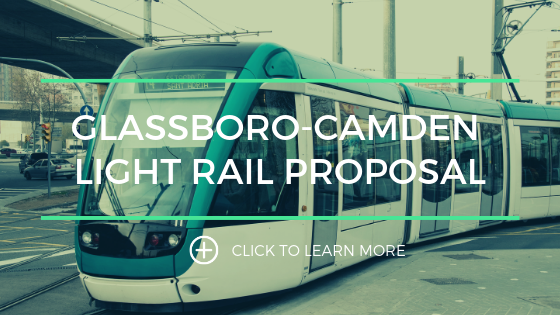 A rail link between there and Rowan University in Glassboro is expected to reduce vehicle traffic and spur growth. Patterson’s work has been featured in recent seasons of the television series, “Empire,” and published in newspapers and magazines around the world. She is the recipient of numerous honors, including the Joan Mitchell Prize Foundation Artist Grant, the United States Artists Award, the Aaron Matalon Award from the Jamaica Biennial, a Musgrave Medal from the Institute of Jamaica, a Small Axe Magazine and Andy Warhol Commissioned Grant and the Rex Nettleford Fellowship in Cultural Studies. For more information, visit ebonygpatterson.com. A conversation and reception with the artist is scheduled for 5 p.m. Wednesday, March 27, to be led by visiting scholar Collette Gaiter. The gallery is at 301 High St., Glassboro. Hours are 10 a.m. to 5 p.m. Mondays through Thursdays and 10 a.m. to 7 p.m. Thursdays through Saturdays. For information, call 856-256-4521 or visit sites.rowan.edu/artgallery. Where are the arts in Downtown Glassboro, NJ? Where could they exist? That's what about 20 Glassboro residents and Rowan University students explored in a crowd mapping session last week led by The National Consortium for Creative Placemaking. With maps in hand, they inventoried a 1/4-square mile section of the South Jersey town, taking notes and marking their maps with garage-sale dot stickers. They were looking at a section of the Gloucester County municipality that borders a new plaza. What can you do with an empty space? Rowan students want to show you. An empty lot next to Mosaic Family Success Center will become a pop-up garden Thursday from 5:30 to 8 p.m. in a collaboration between the school’s College of Performing Arts, Department of Geography, Planning, & Sustainability, in partnership with Creative Glassboro, Nexus Properties, the borough and the center. Organizers say the event offers a chance for the public to see how Rowan students are able to take a usually empty public space and transform it into a place for community connection. Admission is free. The pop-up will feature games, live music by Americana/folk musician Kylie Westerbeck, a 1980s disco DJ and a photo booth. “Historic images, fictional design scenarios, an invitation to participate in Cultural Mapping and more,’’ according to organizers. Beer lovers are invited to the 2018 Glassboro Craft Beer Festival on Saturday, Sept. 29 in the Glassboro Town Square from noon to 5 p.m.
An anticipated 3,000 attendees will have the opportunity to sample hundreds of beers from more than 50 breweries. This year's focus is on beer crafted by local and tri-state area breweries in small batches. There also will be more than a dozen food trucks. "We have enjoyed great response from our past beer festivals and we expect 2018 to be better than ever" said Councilman Andrew Halter. "Glassboro is home to the newly opened, award winning, Bonesaw Brewing Co. and will open two new breweries within the next year. We have discovered that the art of brewing beer is an economic driver for cities that is not only enjoyed by residents but also brings visitors from around the region." St. Anthony's Italian Festival will take place in Glassboro Saturday, Sept. 15, from 2 to 10 p.m. in and around the town square. A procession from the St. Anthony's Mutual Aid Society on Church Street to Rowan Boulevard will feature the St. Anthony's statue, decorated with flowers and carried by club members with traditional Italian musical accompaniment band. The Glassboro High School Italian Club will join in the procession in traditional garb and perform live. Opening ceremony performance by local residents Michael Jones, Donna Lisa Campbell, Greg Armstrong, Jay Gentile and Frank DeRosa will pay tribute to Frank Sinatra, Dean Martin, Rosemary Clooney, Joni James, Patsy Cline and Connie Francis. Featured musical acts will include the Iconic Italian Fairy from NYC and headliner the Party Wave Band from Philadelphia. Carnival games, live entertainment, cultural exhibits, a homemade wine competition, demonstrations, beer gardens and, of course, Italian food will round out the festivities. Heather Ujiie's exhibit "Terra Incognita" will open the 2018-2019 season at Rowan University Art Gallery, showcasing work that aims to blend the disciplines of textiles, fashion design and visual art to create an ethereal, imaginary, and mythological world. Heather Ujiie's vision is inspired by botanical studies, living networks, sexual identities, and commonalities between living creatures. The show will open Tuesday, Sept. 4, and run through Nov. 17. A reception is scheduled for Thursday, Sept. 13, from 6 to 8 p.m.
"We are thrilled to move the car show into downtown Glassboro, which will allow us to evolve (it) into a larger festival experience for car enthusiasts," said Councilman Andrew Halter. "The new location gives us the flexibility and space to do everything the show's fans are asking for and to show off the redeveloped downtown Glassboro with all of our new businesses and stunning Town Square." Many of the events tried and tested features of the show will remain, including the judged competition with trophies awarded and the show's "Concours d' Elegance" up-close display of classic and historic vehicles from all eras. 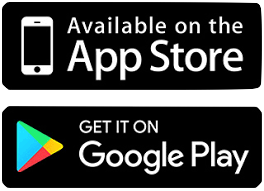 The show's newest features are exotic cars, a giant slot car racing track, local celebrities cars and designer-wrapped vehicles to show the modern technological advances in the automotive industry. New Jersey Secretary of Agriculture Douglas Fisher visited Eastern Pro Pak, Glassboro, N.J., recently to highlight Jersey Fresh peaches. Eastern Pro Pak completed a 70,000-square-foot expansion this spring, and the company has a two-lane tunnel connecting the expansion to the previous 100,000 square feet at the facility, according to a news release. The Jersey Fruit Co-op supplies Eastern Pro Pak. Working Together Glassboro and surrounding towns are feeding off each other’s energy and continuing to create a thriving community. You’d be hard-pressed to find someone in South Jersey, or anyone in New Jersey for that matter, who doesn’t know about the revitalization in Glassboro— specifically Rowan Boulevard. It has changed the landscape of the town and Rowan University and fostered major economic growth. On Friday, July 27th, ERA Young, a real estate and rentals company out of Glassboro, hosted its 3rd annual Alex's Lemonade Stand fundraiser to help the Alex’s Lemonade Stand Foundation move one step closer to finding a cure for childhood cancer. Staff with ERA Young spent the afternoon pouring up some refreshing glasses of ice cold lemonade in hopes of reaching their goal of raising $3,000. The money raised goes towards research to find better treatments and cures for childhood cancer.